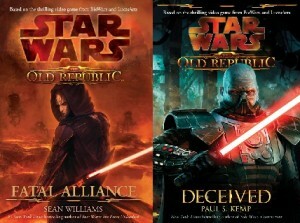 Before these books, I had never read a Star Wars novel. Shared universes are always a bit iffy, to me. From the impressions of many of my friends, second-rate authors tend to write mediocre, clichéd novels in shared universes, depending on the popularity of the license to carry them. 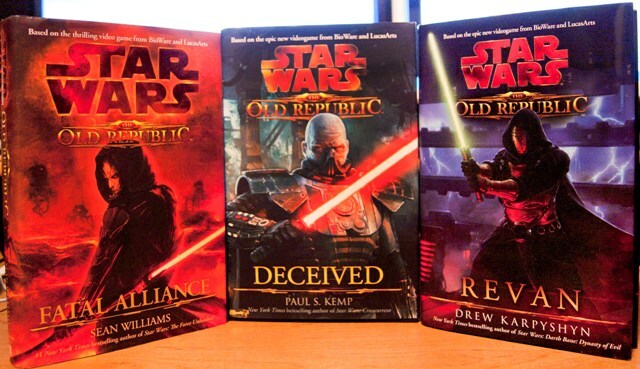 Since I want to be a writer for Bioware one day, though, I’ve decided I need to explore all of Bioware’s universes – or in TOR’s case, sections of universes – in order to have a full understanding of the lore. We have three lucky winners for our third and final SWTOUR drawing: Shaun Quinn, Michele Mummert, and JediElkatt. 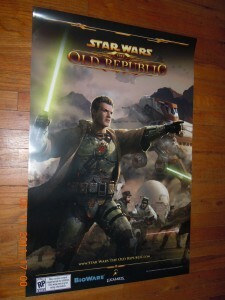 Shaun will receive the Republic Ven Zallow poster, and Michele and JediElkatt will receive Empire Darth Malgus posters. Thanks to everyone for entering the contest. 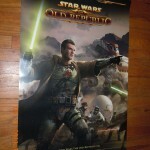 Thanks to BioWare for supplying the swag during the SWTOUR Fansite Summit! Congratulations to Daelda and James Dye, the winners of our SWTOUR Drawing 2. 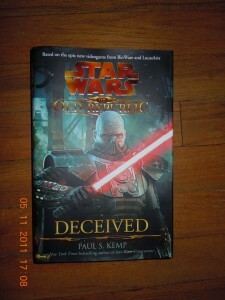 They will each receive a copy of Deceived by Paul S. Kemp. 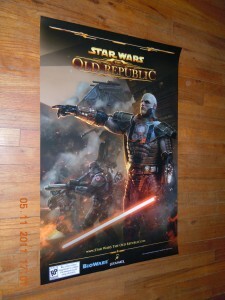 Just a reminder: we are still accepting entries for Drawing 3, three SWTOR posters (two Darth Malgus, one Ven Zallow). Details for entering here. Deadline is May 31st, 11:59 ET. If you enter, please be sure to check your Twitter and Facebook for private messages on June 1st. If we don’t hear from you within 24 hours of contacting you, you will be disqualified and that just makes us sad. 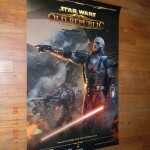 For our third and final drawing, we are giving away three posters: 2 Darth Malgus and 1 Ven Zallow. That means there will be THREE winners! First winner gets first choice, second winner gets second choice, etc. Deadline: May 31st, 11:59 pm ET.